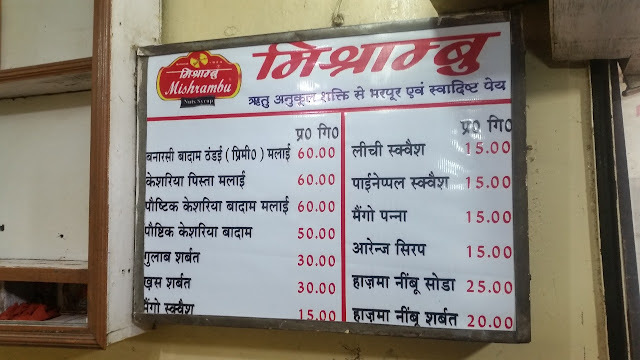 When we were students in the early eighties, one of the must-dos after exams was to go to Godowlia, have a thandai laced with a little bhang and then go watch a movie of Big B or Mithunda at Mazda. The go-to shop for thandai those days was Mishrambu, bang on the crossing. Now, thirty-five years later, there are about five shops next to each other dishing out a range of thandais. 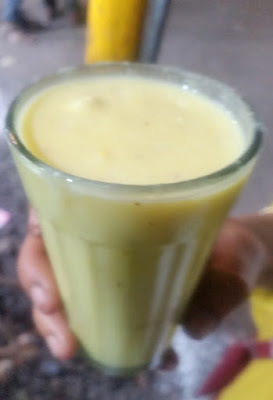 A chilled milk-based drink with a soaked paste of almonds, cashews, and pistachio along with saunf, thandai is not just a drink for Holi in Banaras but enjoyed year-long. 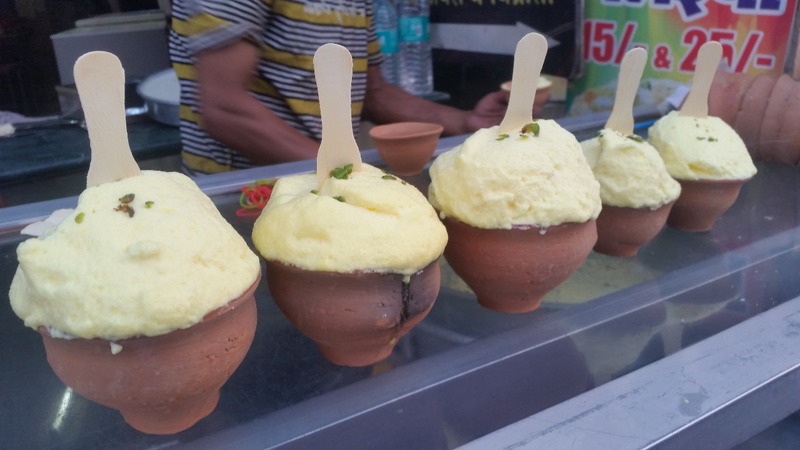 I tried a Kesaria Pista Malai Thandai at Mishrambu, which has saffron and pista in it too. The heavy drink was still as sublime. 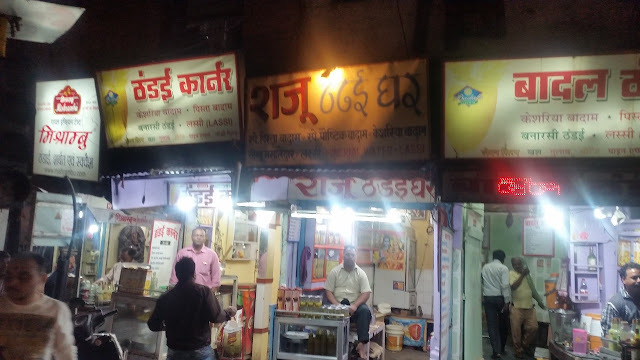 Winter was already over in Banaras, and I was worried that I will miss Malaiyyo, a special milk concoction only prepared in winters. Malaiyyo is prepared by churning the milk slowly, the churned froth which accumulates is actually milk fat which is served in kulhads. 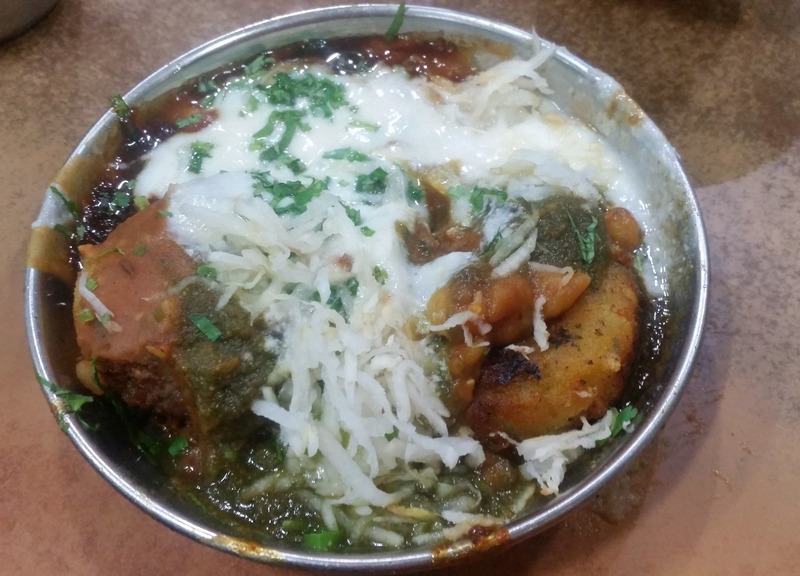 Luckily Dugdh Sagar, a shop on the Godowlia Luxa Road was still serving the dish. I was told that they were planning to stop in a day or two as it was difficult to prepare the dish with the onset of summer, so I was extremely lucky. Once you finish the milk froth, the server pours some milk into the kulhar for you to drink. The dish was available at a measly Rs 15. 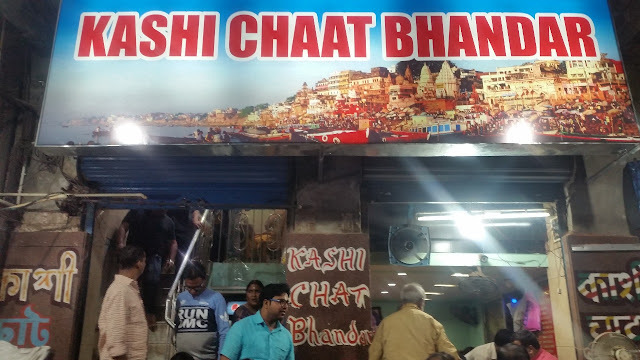 Varanasi has its own varieties of chaats too. 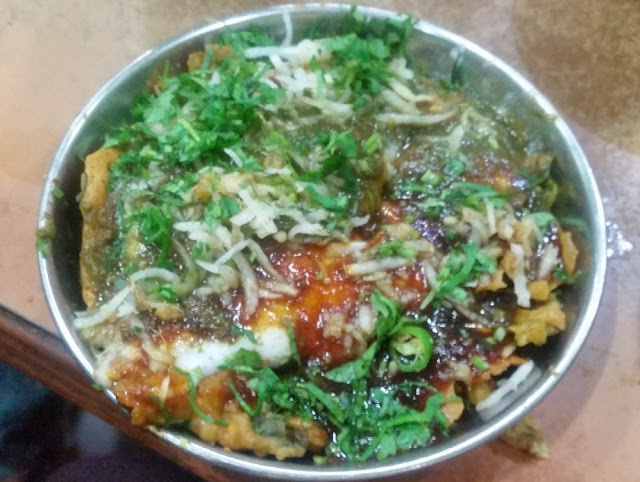 A few special chaat dishes that the city is known for are Tamatar Chaat and Palak Pakoda Chaat. 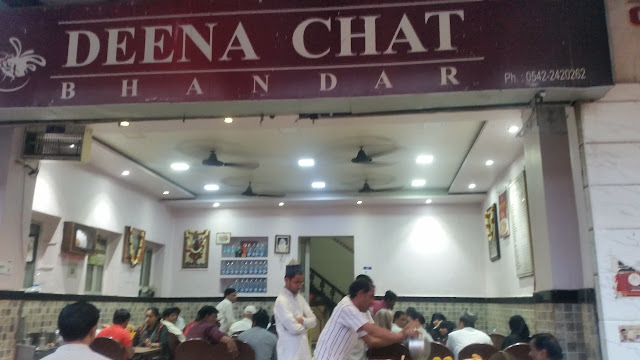 Deena Chaat Bhandar and Kashi Chaat Bhandaar, two shops on the Godowlia Luxa Road are always crowded with people gorging mainly these delicacies. 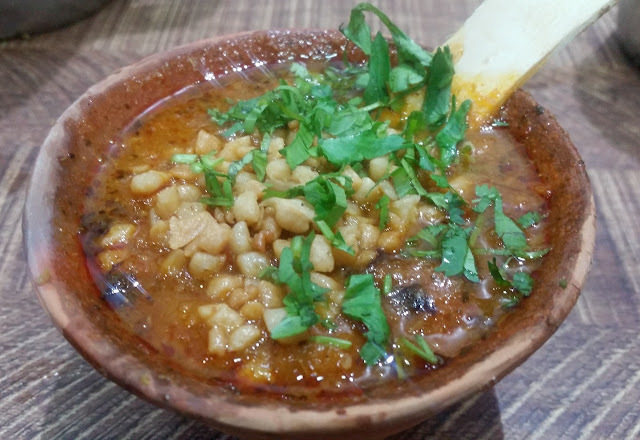 Tamatar chaat is a preparation served in earthen pots. A chaat made from potatoes and tomatoes with khowa and cashew is again served in an earthen pot. Tomato curry and ghee are added to it, and the final garnishing is done by coriander leaves and besan gathiya. This results in a semi-liquid chaat which is tangy and spicy. Crispy palak pakodas with dahi, tamarind chutney, and some fresh coriander are the mainstays for palak chaat. Here the pakodas are at the bottom of the metal plate, and as it soaks in the dahi and tamarind chutney it turns soggy and slowly changes the taste of the dish. 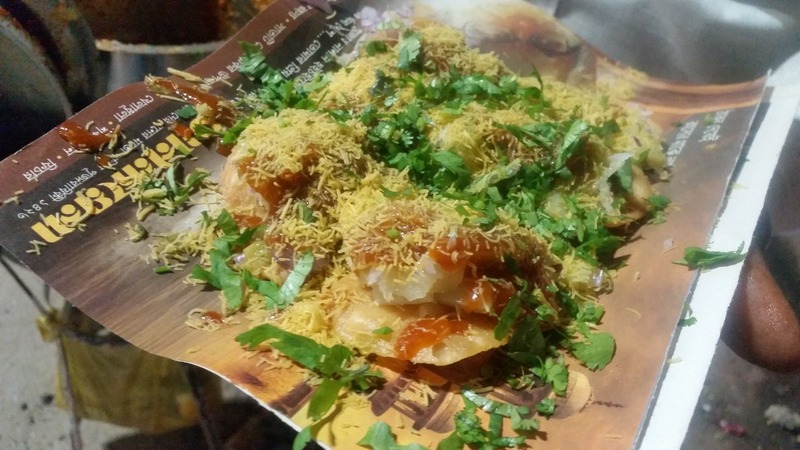 At Kashi Chaat Bhandaar, we also tried the Tikiya Chhole, another Banarasi speciality. There are many small chaat carts or shops near Viswanath Galli too. 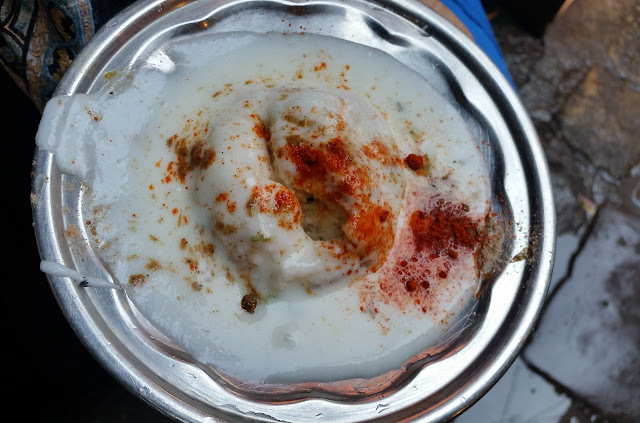 One place just next to Deepak Tambul Centre (a well-known paan shop) just inside Viswanath Phatak serves some soft and tasty Dahi Vadas. Another guy opposite Hotel Samman on the road to Dasaswamedh serves Sev chaat with alu chokha and some delectable chutney. The latter tasted so good, that we used to hog on it whenever we passed by that road. 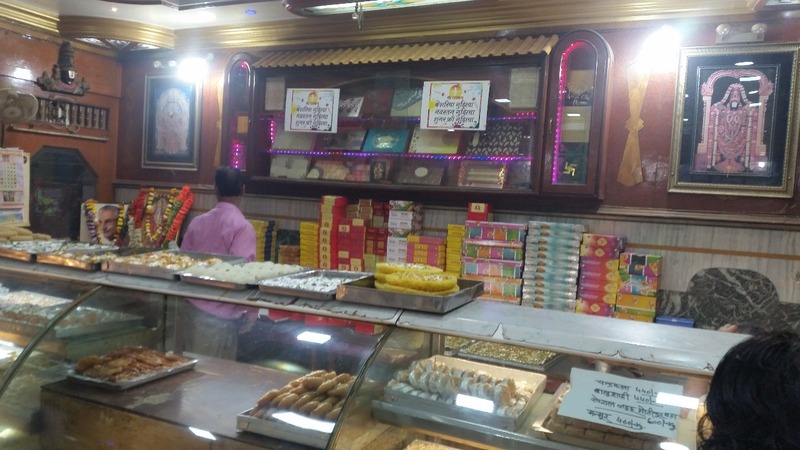 A visit to Varanasi is not complete without tasting the special sweets of the city. The first on the list is Lal Peda. 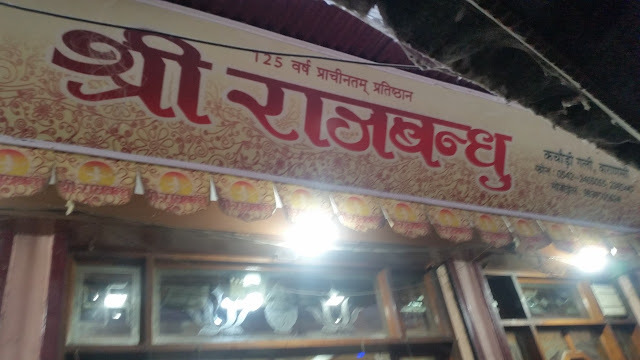 Rajbandhu Sweets, a 150-year-old place in Kachori Galli has quite a few versions of this sweet, including one which lasts a few days, so that people can carry it to different locations. 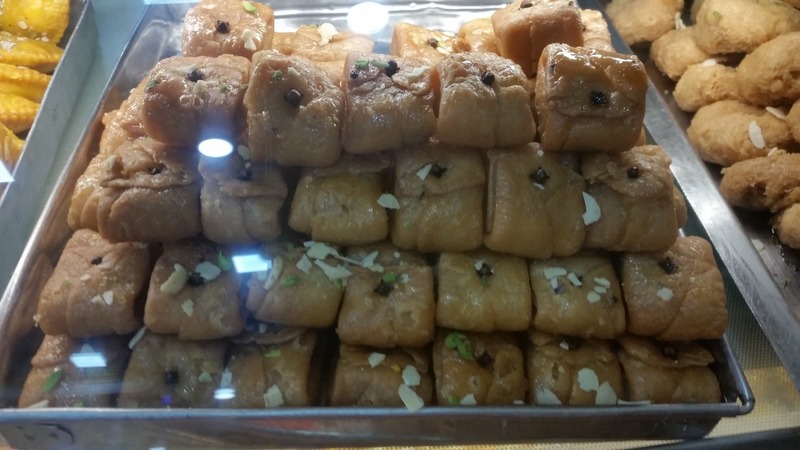 The famed Banarasi sweet Lavang Lata (the signature flour pastry stuffed with khowa and held together by cloves, fried and dipped in sugar syrup) is good at Rajbandhu, but you also get a version at every samosa shop in the city. A must-try here is Parwal Ka Meetha, where an actual pointed gourd vegetable is stuffed with khowa and soaked in sugar syrup. 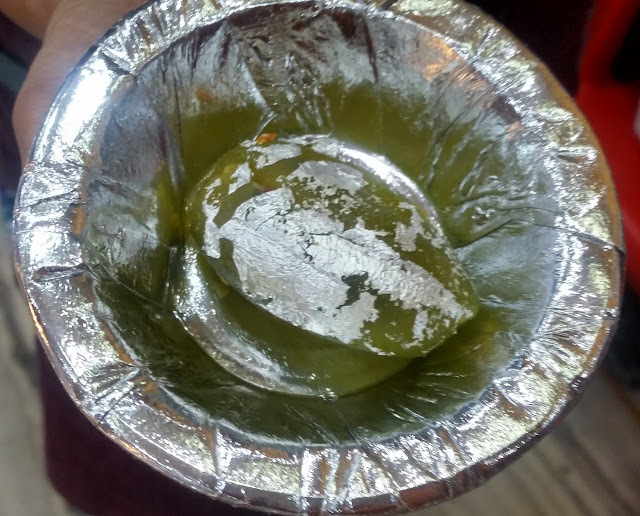 This is one of the novel sweets of Eastern UP and Bihar. Rajbandhu has also a number of rajbhog versions in different colours. 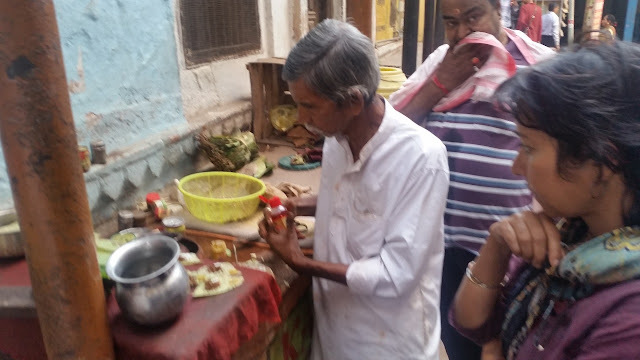 If you meet a random Banarsi, you will notice that he is enjoying a paan all the time, any time of the day. I am not a shaukeen of paan, but my wife is. 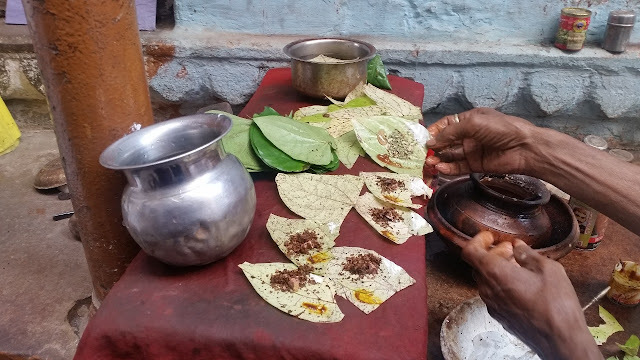 She tried the maghai and Banarsi paan at every nook and corner. It is fascinating to see a paan made at a small joint. 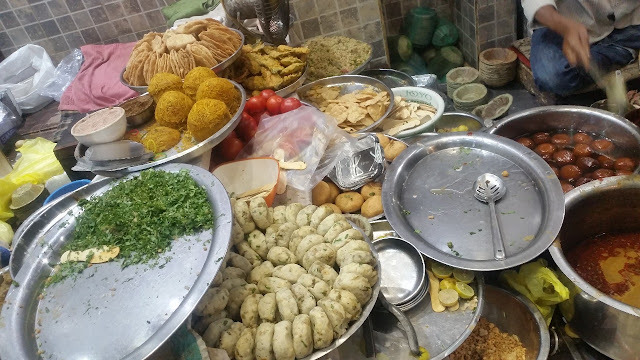 The paanwallah prepares it with a lot of care adding ingredients like choona, kattha and supari one by one and in measured quantities. 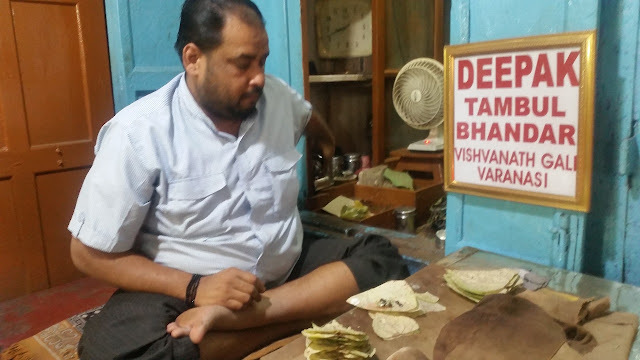 While Deepak Tambul Bhandar mentioned earlier is one of the most well-known in the city and has a constant flow of paan lovers, my wife loved the paan at a non-descript place inside Viswanath Galli, where an old paanwala served some delicate stuff from his repertoire. Banaras is truly a delight for street food lovers. Every area has its champion joints for each of its delicacies, and one can continue exploring even for a month without exhausting the list. 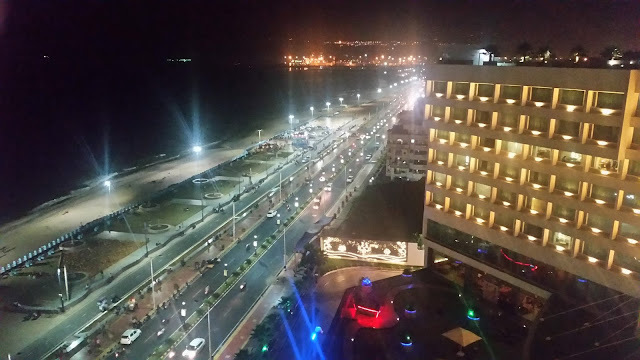 You can visit the city again and again, and be assured that you will discover some new street food joints every time you come. A perfect place for a regular food pilgrimage.